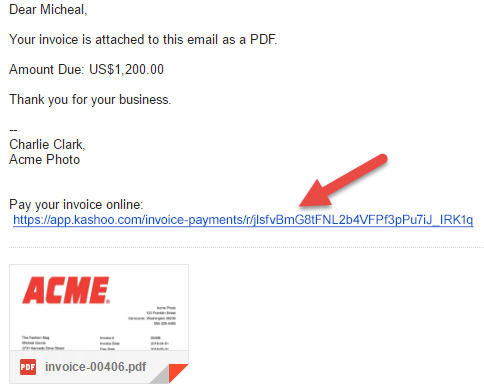 Learn how to accept credit card payments on your Kashoo invoices using BluePay. 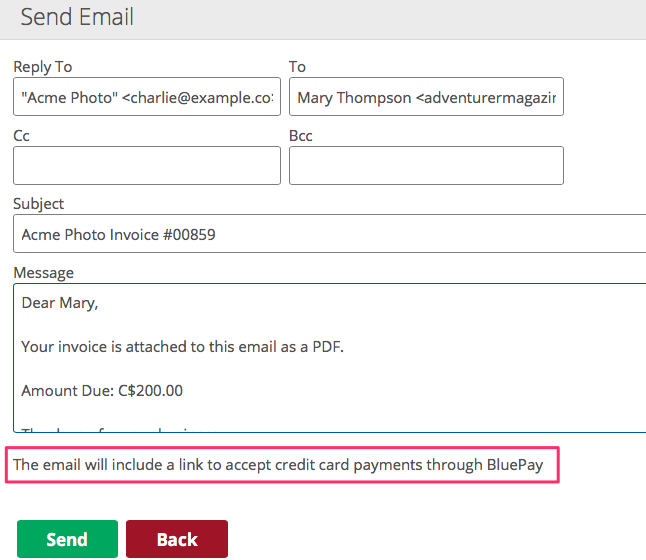 If you already have an account with BluePay, you can integrate it with Kashoo and accept credit card payments on invoices you email out to clients. 3. 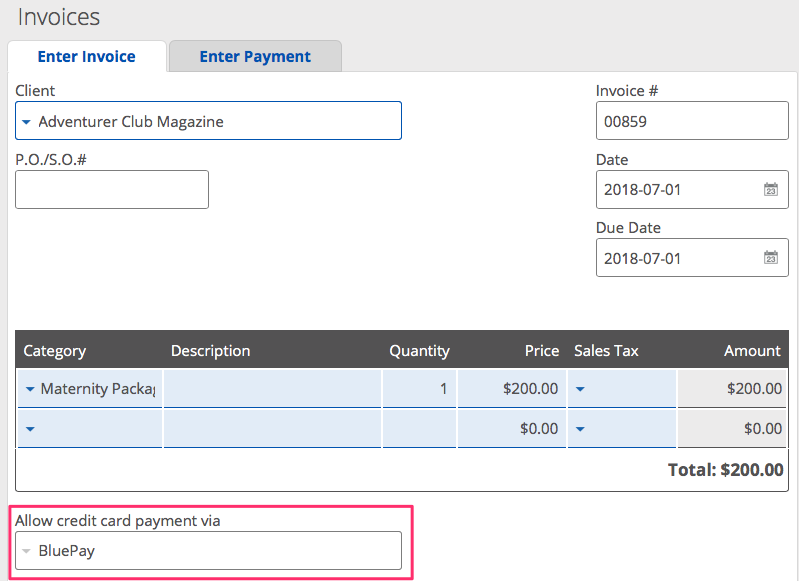 Select BluePay from the Add New Credit Card Processor options. 4. Set a Processor Name. 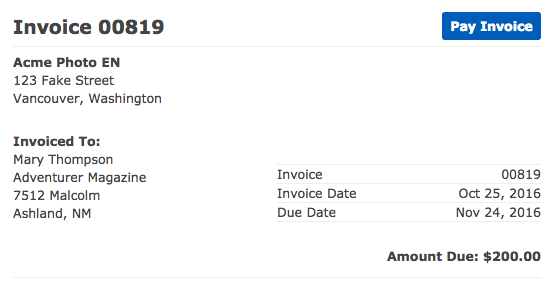 This is the name you will see when creating invoices. Since you're setting up BluePay, you can type in BluePay. 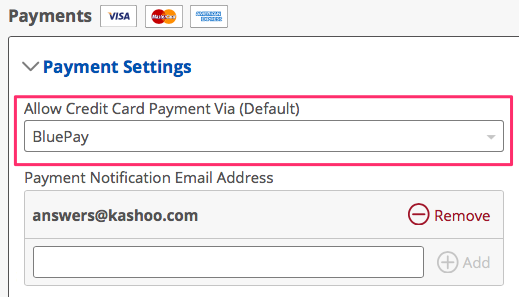 Note: We strongly recommend creating a separate clearing account to track the batch deposit of payments. 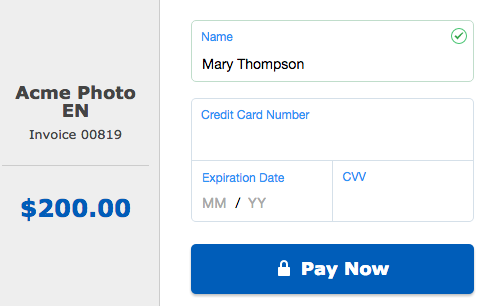 This is because at the end of each day you will receive a single deposit from BluePay, and if you are depositing the funds directly into your bank account in Kashoo, your bank reconciliation will be more complicated. Using a clearing account will make your bank reconciliations easier. 6. 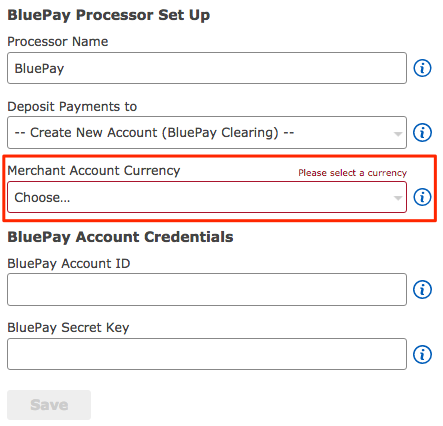 Select the currency of your BluePay account. 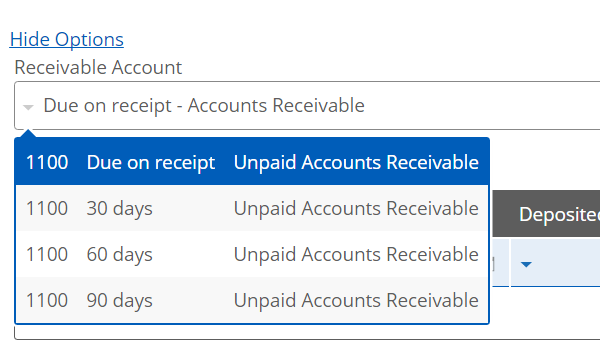 Since each BluePay account only supports a single currency, BluePay payments only work with invoices that have the same currency as your BluePay account. 7. 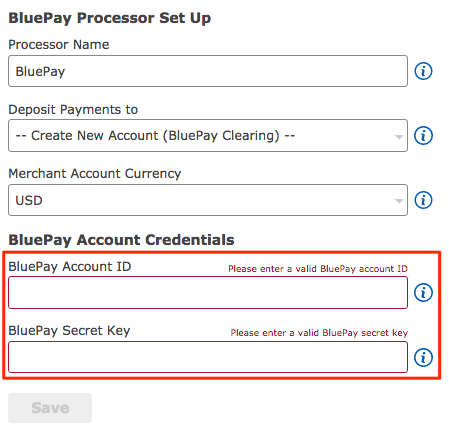 Input your BluePay Account ID and Secret Key. Watch the video below to learn how to find them in BluePay. 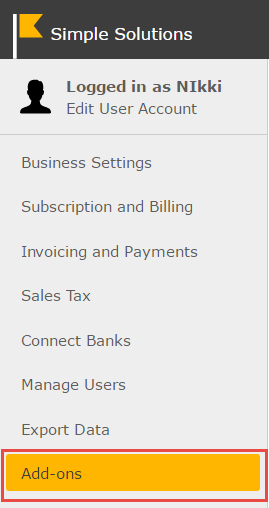 Note: If you have any errors in this field, none of your payments will go through successfully. 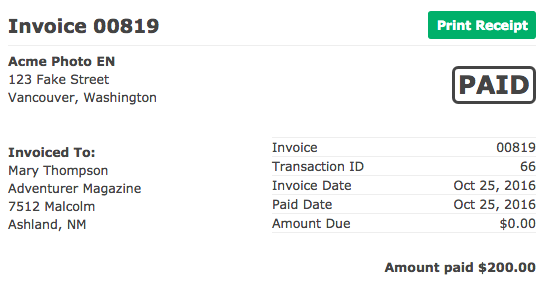 We suggest you try a test transaction on your own credit card to make sure that everything is working before you send invoices to your customers.